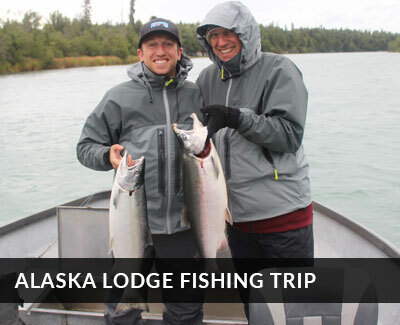 Great Alaska Adventures is one of the oldest, most respected lodges in the state, and our greatest strength is our experienced, committed staff. If absolutely love fishing or wilderness and wildlife, and have a passion to share that with others, you take pride in a job well done, are unafraid of hard work and truly enjoy people, then you may have what it takes to work with us. Our guides are the very best and then never stop learning. If this sounds like you, then we encourage you to contact us. 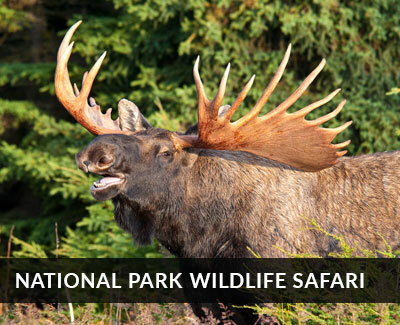 All 1st year guides undergo extensive pre-season training, and training program continues on for the life of your time with Great Alaska. Even our 10 and 20 year veterans (yes, we have multiple 10 and 20 year Great Alaska veterans!) continue to train and learn from every day on the water. Weekly guide meetings, management support and thorough licensing support is all part of the program. That being said, Alaska fishing Guide work is not for everyone, nor is Alaska resort work in general. We would encourage all applicants to consider that the work is challenging, and the long hours combine with our remoteness to create a work environment best suited for those who who do not "punch a clock"! However, if you love fishing, have a knack for making people smile and catching fish, have a great driving record and are ready to work hard, this may just be the best job you ever have. Our fishing guides are some of the finest on the planet, and our powerboat salmon and Trout guides are no exception. 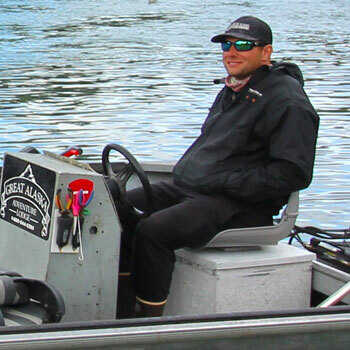 All Kenai guides must complete Kenai River Guide Academy course, and Powerboat operators must have an extensive background in running boats. Coast Guard license required, and all guides enrolled in our random drug program. Of course you must love people and be as fishy as the day is long! Whether fishing the mighty Kenai rivers myriad of main stem and back channels, the Kenai canyon or the Kasilof river, you'll pilot our custom Willy Boat Aluminum Drift boats with 4 clients as we target giant King salmon, Trophy trout, Sockeye, Silver or Pink Salmon on every inch of flowing water on these two great rivers. We are very proud of our offshore fishing program. Our captains are experienced, profession boatmen and incredible fishermen. Unlike many offshore guides, our guides focus on customer service, safe boat handling and ensuring that our guests day on the water is as special as they hoped. If you are a "crusty captain", don't bother applying! Proof of USCG license, as ell as extensive references and prior offshore experience required. One of the most critical positions in our fishing program, the deckhands are the heavy lifters- shuttling guests to the marina, working on the deck all day long with heavy leads, sharp hooks and sometimes inexperienced fishermen are all in a days work for this hardy breed. Like all our fishing positions, a strong work ethic, self starter mentality and great people skills are the three absolute must-haves for this position. All deckhands are part of the random drug program and must provide a clean test prior to employment. Fishing support helps the fishing program go. Boat cleaning, maintenence, vehicle and gear maintenence, a great position for someone who wanst to see what guiding is all about but does not have the experience or age to be in our guide program.